Industry 1.0 in 1780: Mechanization (machines were finally powered by steam instead of by hand, mill or brute force). Industry 2.0 in 1870: Electrification (the assembly line made way for mass production; think of how Henry Ford invented the automotive assembly line). Industry 3.0 in 1970: Automation (electronics and computers allowed for robots and systems to work independently). Industry 3.5 in 1980: Globalization (introduced lower cost offshore production). Now, we are in Industry 4.0, otherwise known as digitization, where the “smart” factory has been introduced. Think of how we now connect our phones to everything, including remote starting your car, checking your home security system, and even adjusting the thermostat. We use technology and the interconnected nature of all devices, via the internet, to make our lives easier. Industry is no different. How Does the 4th Industrial Revolution Affect the Workforce? Inevitably, digitization will change how work is done, but it’s nothing to fear, as it’s actually making way for new exciting opportunities on the job market. A simple example of the 4th industrial revolution is how workplaces are becoming increasingly paperless. Email has dramatically increased efficiency, and is now the primary form of communication. On the more technical side of business, smart processes and optimization have been implemented in larger facilities to ensure that things run smoother. Machinery and controls can be monitored in real time, with all aspects of a plant being interconnected (also called “the internet of things”). Maintenance schedules, machine statuses, and production forecasts are combined over digital networks within companies. 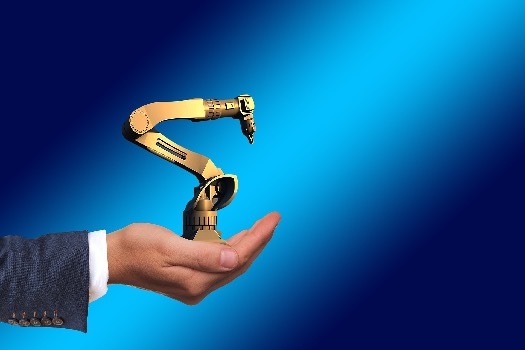 Digitization of manufacturing plants has allowed for resources to be adjusted automatically and for machines to be repaired before failure, saving companies money, downtime, and improving safety for employees. There is a real need for employees with the technical skills to monitor these digital systems, repair the systems or the components, and use machinery as a part of high-tech production. According to Pierre Cléroux, the Vice President of the BDC, in his report “The 4th industrial revolution is here. Are you ready?” the biggest challenge to implementing digital technologies in business is the lack of qualified employees. Making sure you are trained in the technologies that are in demand will help you secure a great job in the manufacturing industry. You might already possess some of the high tech skills associated with the 4th industrial revolution, and those should be at the forefront of your resume. Computer skills, programming, machine operation, coding, electrical or computer systems repair, etc. are all in high demand. If you think you’d like to invest in skills development, there are many options available in eastern Ontario. Colleges provide in-depth technology programs to upgrade your skills. Loyalist College and St. Lawrence College both offer engineering technologist and machinist degrees, including apprenticeship programs, as an example. Shorter and more specific training programs can get you up to speed in the manufacturing industry quicker. One such example is the Elevate Plus Program offered in Belleville, which is six weeks in duration and includes a placement at a local manufacturing plant. In addition to the high quality education and training resources that eastern Ontario offers to prepare you for work in the 4th industrial revolution, it also provides an ideal work-life balance. The region employs 65,000 people in manufacturing, while boasting beautiful cities with an affordable cost of living.